Enjoy the pleasures of preparing a wonderful meal, laughing with friends and family around the table – kitchens hold a special place in our hearts and homes. Let Teeters enhance the enjoyment, function and design of your kitchen. 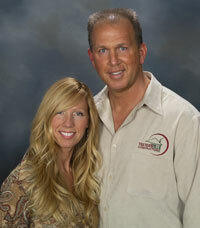 With over thirty years of experience in the kitchen remodeling industry, Teeters kitchen consultants have seen it all. Teeters’ knowledgeable kitchen consultants work closely with you to determine your tastes and needs, and they ensure every step of the kitchen remodeling process proceeds smoothly. Our consultants take the headache out of your remodel to ensure you end up with a stunningly beautiful kitchen that is functional too. Unlike other fly-by-night remodeling companies, Teeters has an established history which assures our customers we are here to stand behind our products and installation. We are proud members of the Better Business Bureau, National Kitchen and Bath Association, and National Association of the Remodeling Industry. A beautiful professional kitchen remodel adds value to your home. In fact, many experts say a remodeled kitchen is the best home improvement investment you can make. Beyond the monetary benefit, a beautiful kitchen is an important factor that weighs into a home purchase. A remodeled kitchen is proven to help sell your home faster. Looking to remodel your bathroom in Columbus, Oh? Whether you have a large or small bathroom remodeling is easy with Teeters. We have what you’re looking for and we will make it beautiful by providing you with the best and newest solutions in the Central Ohio. We believe that your bathroom should not just serve its functional purpose, but also be a beautiful and relaxing place of retreat. Teeters team of experts helps you complete a bathroom renovation that will increase your home’s value. Our bathroom renovations create spaces that are more comfortable and functional, fitting to your lifestyle and budget. We perform all aspects of your bathroom renovation including plumbing, electrical and lighting. For simple bathroom alterations, we focus on using modern and energy efficient fixtures, efficient cabinetry and better usage of lighting. Whatever the scale of the bathroom renovation, we can assist you in creating a custom bathroom.